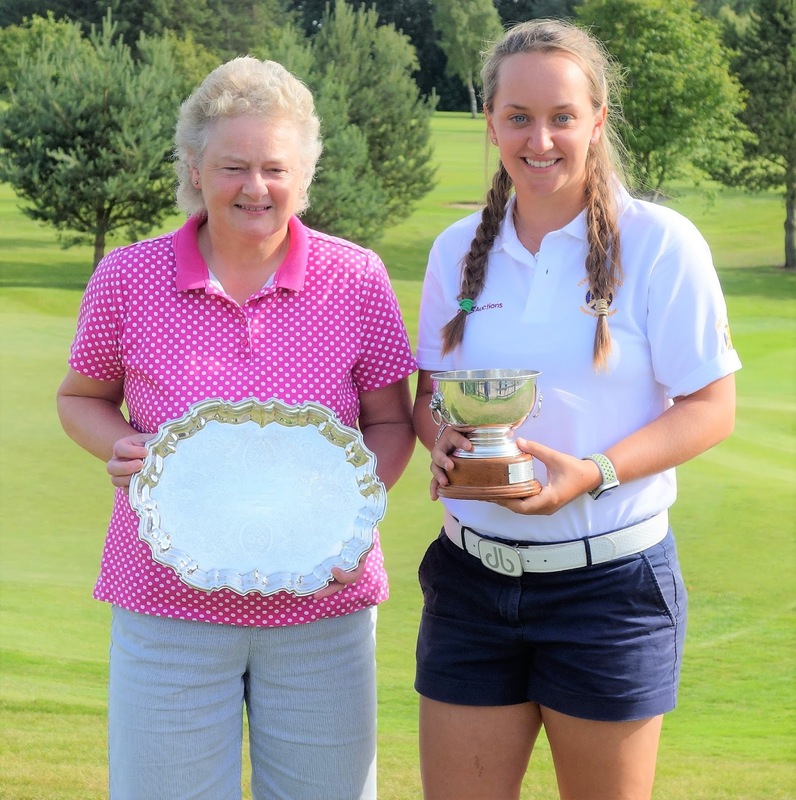 Muckhart's Eilidh Watson, the Perth and Kinross county champion, added another title to her CV when she beat Gillian Paton (Royal Montrose), the Angus county title-holder, by 3 and 2 in the final of the North of Scotland women's amateur championship at Kemnay Golf Club this afternoon. Watson, who also won the Highland Women's Open at Pitlochry last year, was in top form, covering the front nine in the final in three-under-par 34, including an eagle at the second. She was one-under-par for the holes played on the inward half..
Eilidh, the No 2 seed, won her semi-final against clubmate and No 3 qualifier, Jen Saxton, by one hole and then faced Paton who had KOd the top seed, Kimberley Beveridge (Aboyne) by 3 and 2 in the other semi-final. The handicap championship was won by leading qualifier Linda Bell (Kemnay). Playing off 20, she beat Mary Robinson (Murcar Links) (16) by 3 and 1 in the final.